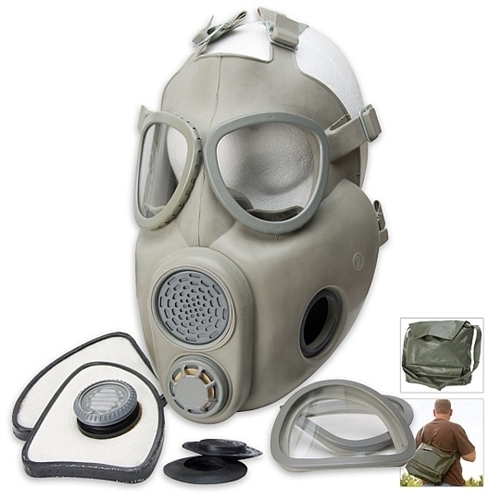 The Czech M10M gas mask design is from the US M17 gas mask which is a very proven design. These are new military surplus condition with new original sealed filters and canvas carry bag. Fully adjustable adult gas mask can even be worn over eye glasses.